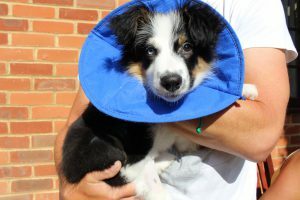 Finlay, an 8 week old, male Border Collie visited our Cardiology department in July this year for an investigation of a heart murmur. Upon physical examination, Finlay’s referring vet auscultated a loud, continuous,” machinery” heart murmur that was loudest in the axillary region of the left thoracic wall. 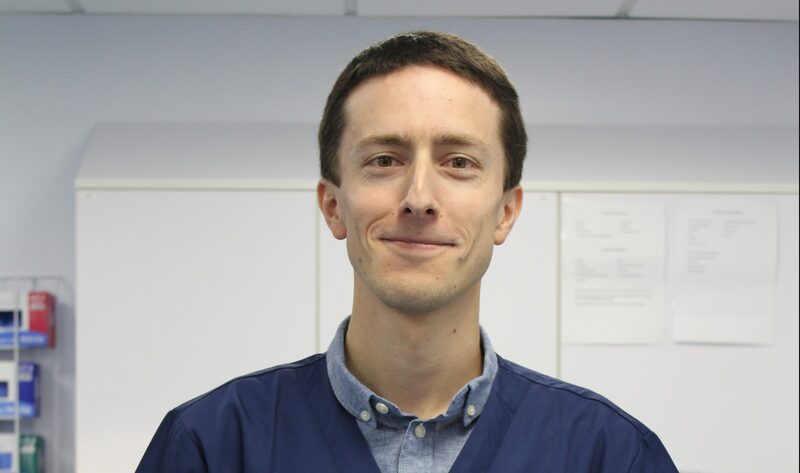 Based on in-house investigations, the referring vet made a diagnosis of a patent ductus arteriosus (PDA) and promptly referred the patient to Dr Luca Ferasin. PDA is a congenital anomaly that results in an abnormal shunting of blood between the heart’s two major arteries; the pulmonary artery (PA) which carries blood to the lungs and the aorta which supplies the systemic circulation. During the foetal period, as the lungs are not inflated, blood is redirected, via the “ductus arteriosus”, from the PA to the aorta. Under normal circumstances, this duct closes immediately after birth, thus separating the pulmonic and systemic circulations. If the duct fails to close, however, it is termed a “patent ductus arteriosus”. 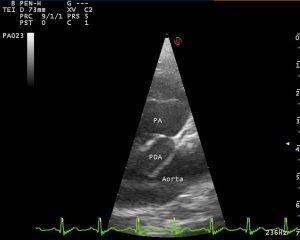 Figure 1 displays an echocardiogram with the PDA highlighted. How do we treat a PDA? Over time, PDA causes left sided cardiac overload and the patient is at a high risk of developing congestive heart failure. The ductus can be closed with open thoracic surgery. However, minimally invasive (“key-hole”) techniques are also available and Finlay’s owners opted for this less invasive option. 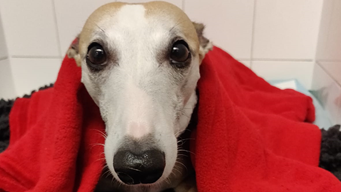 Amplatz Canine Duct Occlusion (ACDO) is a procedure that involves deployment of a small expandable device in the abnormal duct, using the femoral artery as the vascular access. A series of catheters can then be exchanged and fed via this access point back to the aorta. Fluoroscopy is used to image the thorax in real time allowing correct intra-operative positioning. 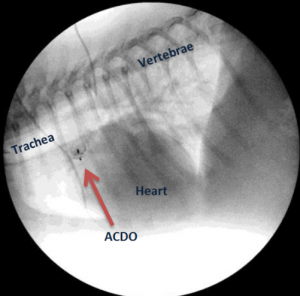 Once deployed, the ACDO prevents blood from shunting through the duct as shown in figure 2. 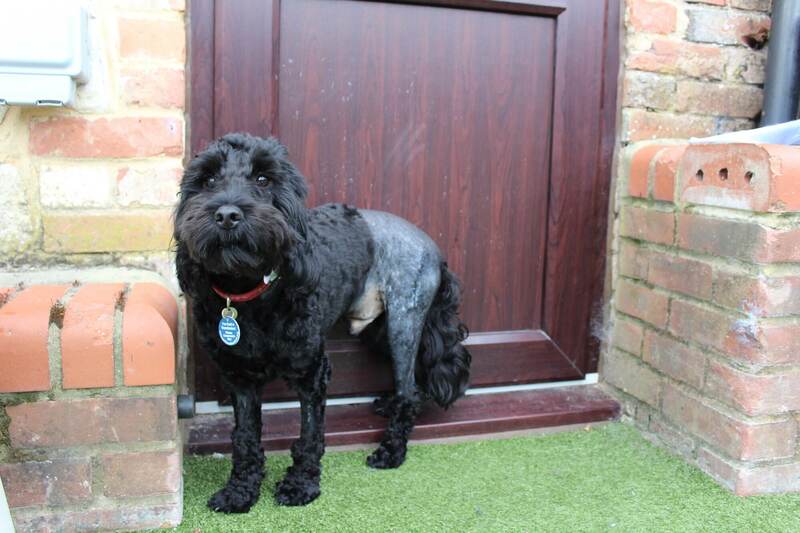 Following the successful procedure, Finlay made a full and rapid recovery and went home the following morning. The heart murmur could no longer be heard and there was no residual shunt noted at the echocardiographic recheck. Therefore, Finlay should now have full, normal and happy life!